15 Fun Games to Play Outside - C.R.A.F.T. Note: This post is sponsored by CLIF Kid, all opinions are 100% my own! Maxwell loves to be outside! In fact, “ou-side” was one of his first words. 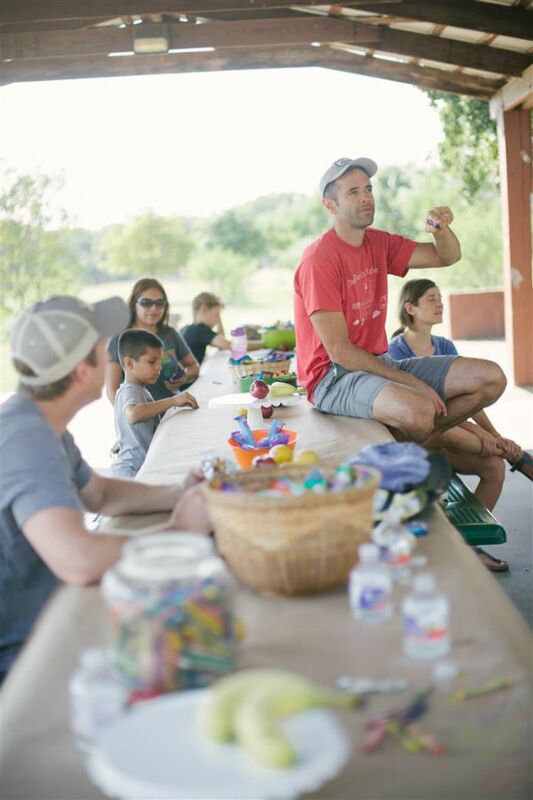 So, when CLIF kid asked me to host a play day at the park for kids, I was absolutely on board! I chose a shady park with a large cement slab so that we could have swings, slides, and creative play time outside. 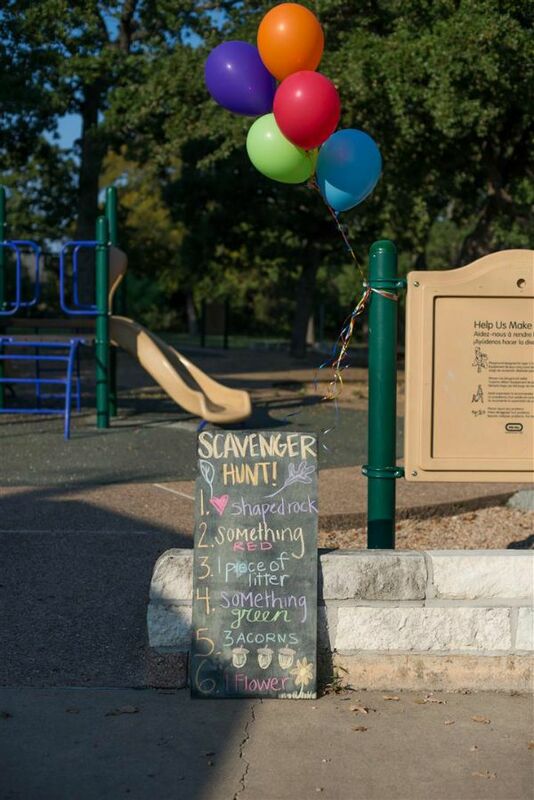 CLIF Kids is all about reclaiming play, and getting kids to Come Out to Play! 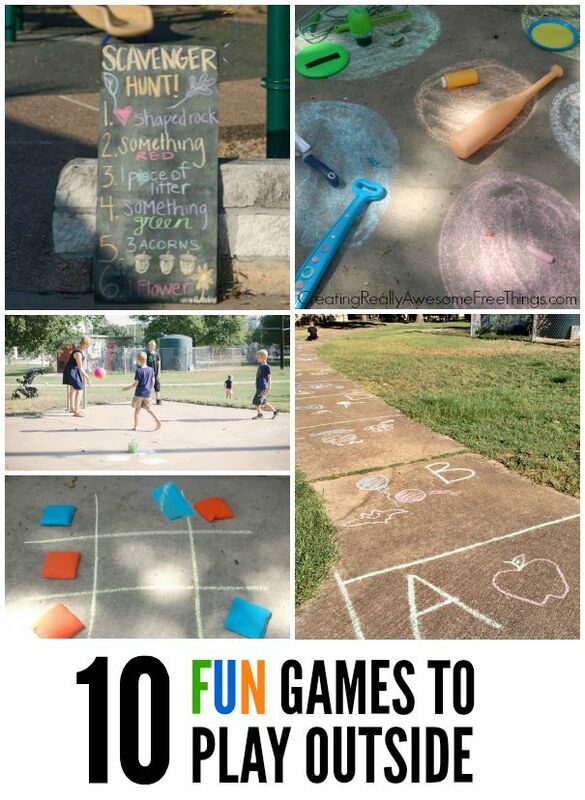 So, I put together 10 fun games to play outside with kids of all ages. Best part? You don’t need a lot of extra stuff for any of these outdoor games for kids. This game works really well with the 2-4 crowd. It’s also perfect for teaching toddlers their shapes. Best part? 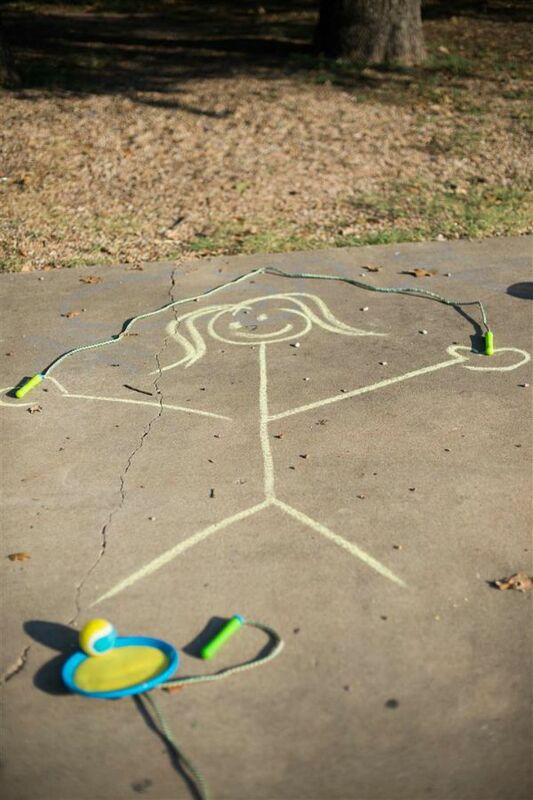 All you need is chalk and a cement slab to play! 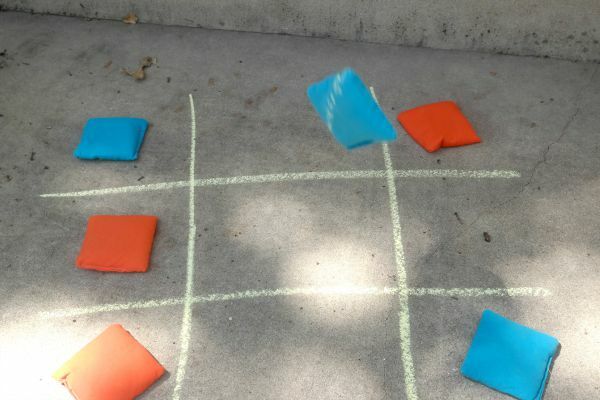 I drew a simple tic tac toe on the ground with a piece of chalk and left bean bags near by. The kids (and adults) knew what to do right away! I doodled a simple obstacle course on the sidewalk that led to the park. It was fun to see kids and parents skipping, hopping, and twirling into the park! Again, this could be more structured or even have 2 set up next to each other and make it a race! This is probably my outdoor game for kids! Although it is not exactly a game, and more of an outdoor activity. All you need is a sidewalk and chalk. 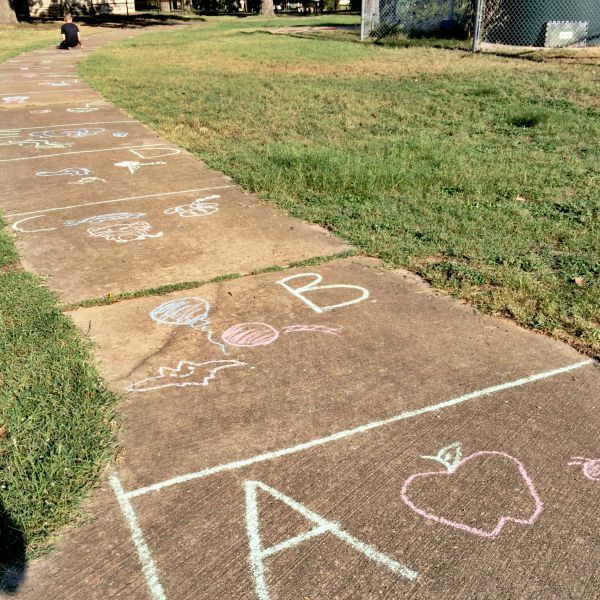 Then divide the sidewalk into 26 segments and write one letter of the alphabet in each square. Encourage kids to draw pictures of things that start with the letter in the square. For example, B is for ball, bat, and balloon! C is for cow, cat, and CLIF bar! Kids (and adults) of all ages love hula hoops! You can roll them, use them as a jump rope or even use hula hoops as stencils for chalk drawings! 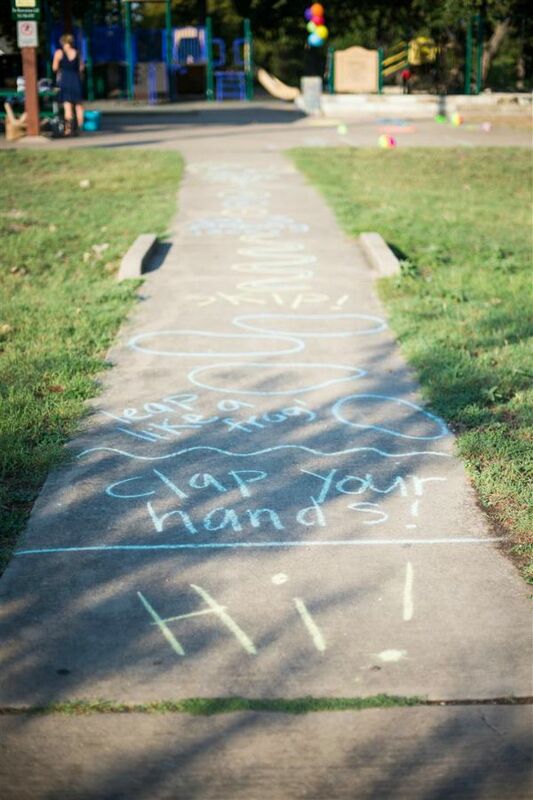 Jump rope can be used as props for chalk drawings, and of course for jumping rope! Maxwell is a pro jump roper! I printed off these 3 constellation sheets for free, stuck them in page protectors and laid them on the ground next to chalk! 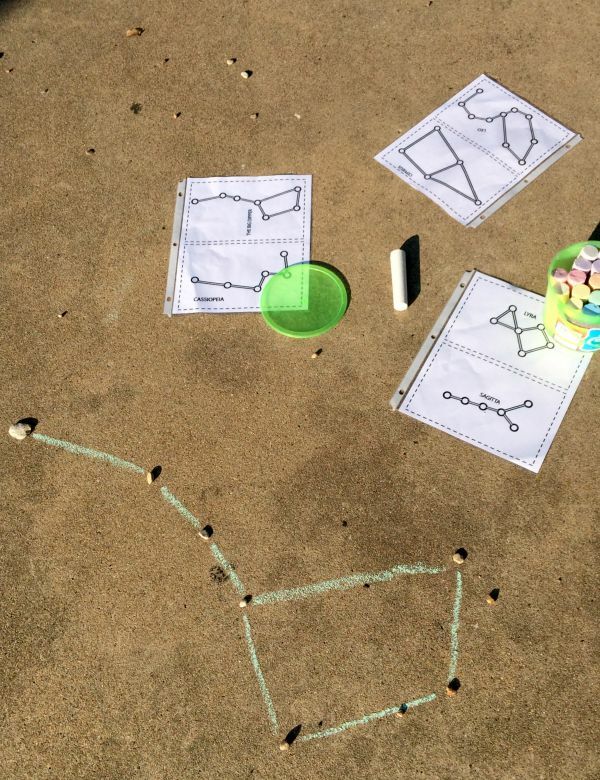 Check out the awesome constellations that were made with playground rocks and chalk! Can you guess which one this is? This one works best with 2 people, one as the shadow model and one as the artist! This is a fun game for kids of all ages to do together! 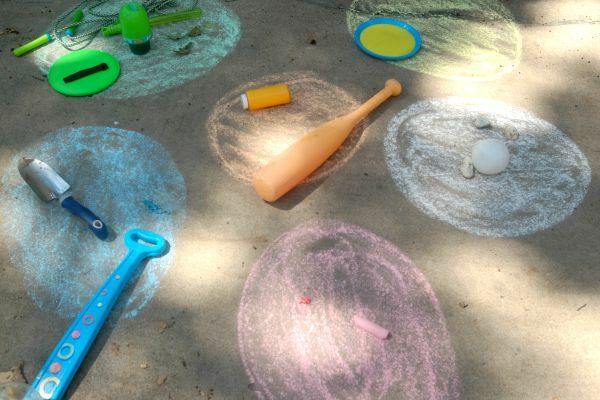 You can use whatever toys you have on hand along with items from nature to fill the chalk colored circles! Think: flowers, leaves, rocks, and even the chalk itself! These are classic outdoor game to play with any large group of kids! This is a classic game that everyone knows how to play! 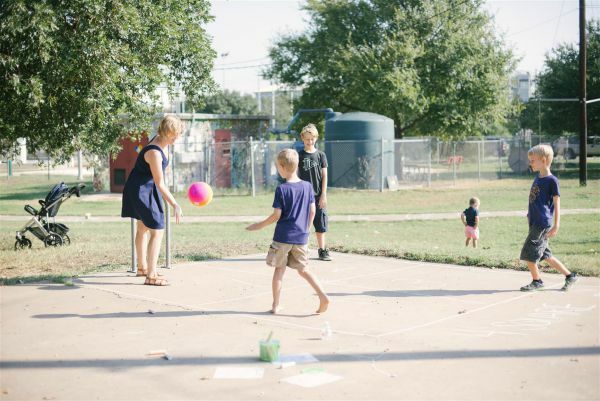 Use chalk to make a fancy court, and grab a playground ball. Just in case, here are the official rules of four square. One person plays the stop light and all of the other players are on the start line. The stop light turns their back and the players run until the stop light turns back around and yells red light. The stop light gets to determine if anyone is still moving and those players have to back to start. The first player to reach the stop light wins the games and gets to be the next stop light. To organize a good game of Red Rover you will need at least 20 kids. Have the kids number off and make 2 lines of 10 kids each. The lines should be about 30 feet apart and the kids will hold hands or link arms. Team 1 starts the game by calling out, “Red Rover, Red Rover let (player from opposing team) come over!” The goal is for the player that was called over to run across and break the link of the other team. If the link is broken, that team member gets to pick one person to bring back with them to their team. If the link is not broken, the child joins that team. One player is Simon and all of the other players stand in front of Simon. Simon tells players to do various moves, but the players should only obey commands that begin with, “Simon Says”. For example, if Simon says, “Simon says clap your hands.” Players must clap their hands. What is a play day without food! 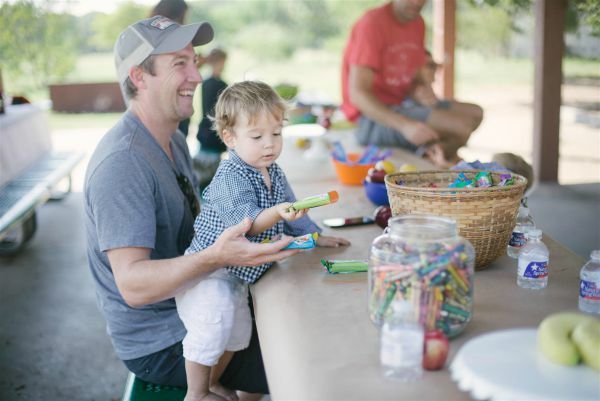 After all, kids need to feed their adventures with some healthy snacks! I love that CLIF kid snacks have no high fructose corn syrup, synthetic preservatives or artificial flavors. High five to that. Oh and Maxwell approves, I think he ate at least 4 CLIF kid bars that morning. “Bars” are always a winner in our house. Playing outside was a huge part of my childhood, and I’m pretty excited that Maxwell is an outdoor lover too! How often does your family play outside? 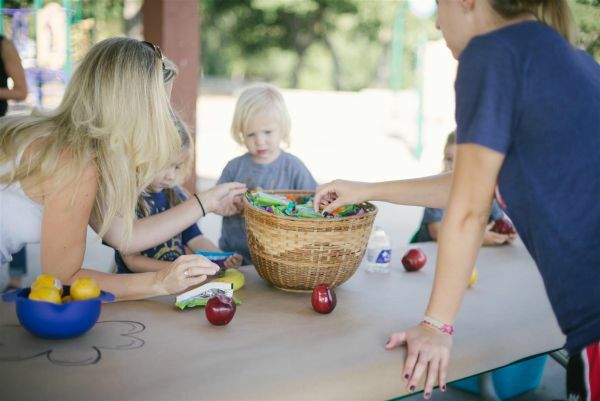 Have you ever tried CLIF kid snacks? 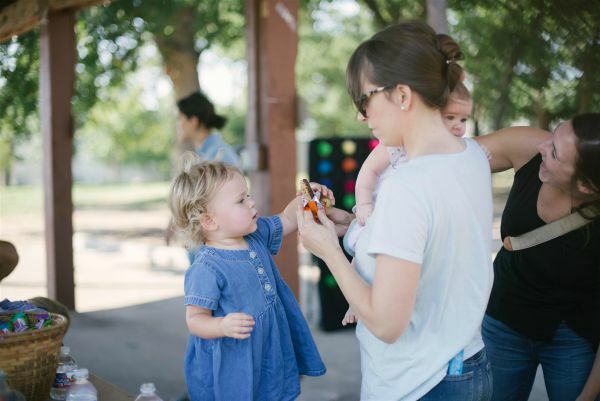 Check out my co-host, Heidi with Free Fun in Austin’s, post with more cute pictures and lots more information about one of our favorite Austin parks, Patterson Park! Thanks for making these really cool ideas!! My brother and I LOVE them!! thanks for your awesome lists. My daughter also love these games! Thank you for making her birthday a blast. I don’t know if anyone is interested, but I got her some games from a shop called Mindful, and the kids all enjoyed the tug of rope. Which website was it? I am trying to find a kid friendly and safe tug of rope. This is not what I’m looking for so put different games on there because the games you have on here are very boring and you still have to buy things to play these games and that is unacceptable! I’m sorry you didn’t find what you were lookin for, Mary!